When the esophageal sphincter fails to contract, it allows gastric acids to move from the stomach upward. This causes a burning sensation in the lower chest and throat known as acid reflux. Certain research reveals that acid reflux may be caused by bacteria that grows in the stomach. According to surveys, nearly half of all Americans experience the chest pain, bloating, and burping associated with acid reflux, or heartburn, at some point in their lives. Does Coconut Oil Helps To Reduce Acid Reflux? Coconut oil can be used alone and in combination with other natural ingredients that promote proper digestion and keep the digestive system healthy. Try all the methods below until you find the one that works best for you. Taking coconut oil by mouth 3 times daily relieves burning sensations in the throat and chest and prevents heartburn. To avoid upset stomach, start by taking ¼ teaspoon of before each meal and gradually increase to 1 teaspoon. Add coconut oil to water, juice, tea, coffee, or smoothies. In a blender, mix ½ cup of Greek yogurt (any flavor), ½ cup of crushed ice, 1 banana, 1 teaspoon of vanilla, and 1 teaspoon of extra virgin coconut oil until smooth. Greek yogurt helps restore the balance of good and bad bacteria in the digestive system. Whenever you bake, replace dairy butter with coconut butter. It works the same and adds a hint of coconut flavor to your treats. Coconut oil is extracted from the white meat of mature coconuts. Eating coconut meat stops heartburn and promotes healthy hair, skin, and eyes. Try adding fresh shredded coconut to your desserts and smoothies. Bring 2 cups of coconut milk to a boil and stir in 1 cup of steel cut oatmeal. Reduce heat and simmer until oatmeal is done to taste. Remove from heat and stir in 2 tablespoons of shredded coconut, 1 tablespoon of chopped almonds, 1 teaspoon of cardamom powder, 1 teaspoon of coconut oil, and 1 teaspoon of raw honey. Eat this to reduce heart burn. In a sauce pan, heat 4 teaspoons of extra virgin coconut oil and 8 ounces water. Drink slowly throughout the day to get relief from acid reflux. Mix 1 tablespoon of extra virgin coconut oil, 1 tablespoon of apple cider vinegar, 1 teaspoon of raw, organic honey, and 1 teaspoon of fresh aloe vera juice. Stir mixture into a glass of warm water and drink. Drink whenever you have acid reflux. Put 3 teaspoons of extra virgin coconut oil into your mouth. Roll and swish it around for 5 minutes, then spit it out. The coconut oil pulls bacteria and other toxins out of your mouth so they can’t enter the digestive system and cause acid reflux. Repeat every morning before breakfast. Coconut water is rich in potassium, electrolytes, fiber, and natural enzymes, all of which promote proper digestion. Coconut water cools and soothes the throat and digestive tract while neutralizing acids. Drink coconut water once in the morning and once before going to bed to reduce reflux. Or drink a glass of coconut water whenever you have the symptoms of acid reflux to neutralize the acid levels in the stomach. Mix coconut water with kefir to get probiotics that keep the digestive system healthy. Separate the flesh from a coconut and grate it. Mix the grated flesh into a bowl of hot water and let it soak 10 minutes while stirring. Pour soaked, grated coconut in cheesecloth and squeeze to extract milk. Replace dairy milk with coconut milk when baking or cooking, and use it in cereal, oatmeal, and smoothies. Milk is a great home remedy for acid reflux as is rich in calcium that helps the digestive system to function properly. Does Coconut Oil Cause Acid Reflux? Coconut oil may trigger heartburn in some individuals. It is rich in saturated fats, which, for some people, cause acid reflux. It is recommended that individuals suffering from heartburn avoid oils in general. Before starting regular coconut oil treatments, try using it and other coconut products in small amounts in order to test your reaction. For best results, follow the advice below when using coconut oil to treat acid reflux. To avoid nausea, take coconut oil in small doses and increase the dosage as you grow more tolerant. Some studies indicate that, because coconut oil contains more saturated fat than any other oil, it may contribute to cardiac illness. Others claim that, because it contains only medium-chain fatty acids, it is not harmful. Eat small meals 6 times per day rather than eating large meals 3 times per day. It’s best to include fruits in your diet, one of the best home remedies for acid reflux is banana. When using coconut oil to treat acid reflux in children, use half of the recommended amount for adults. Coconut milk contains high amounts of sugar, so reduce sugar consumption when using it to treat heartburn. Consult a doctor before using coconut oil to treat acid reflux. Before starting regular coconut oil treatments, try a small amount to make sure you’re not allergic to it. Replace your regular cooking oil with extra virgin coconut oil. If coconut oil doesn’t reduce acid reflux symptoms within 3 days, consult a doctor. Have you tried any of these methods for treating and preventing acid reflux with coconut oil? Tell us which ones worked best for you! I have started to drink coconut oil, and lately have noticed that my reflux have started to acted up again. Just wondering if its because of the oil. Have read how it is suppose to help relieve reflux. Try putting coconut oil in smoothies or juices. I usually put 2 tbsp in my large green juice. It does help. Can i use vco for scalp itchiness? This is too broad a statement. One thing doesn’t fix all for every person. Done might benefit from coconut oil while others might get worst. I have acid reflux and Apple cider vinegar makes it worst. I have found that drinking soda and holding my burp for 3 minutes reduces the acid from coming up and after a few weeks or stops altogether. But like I said one thing doesn’t work for everyone. I like sights or blogs where real people share what works for them not articles. 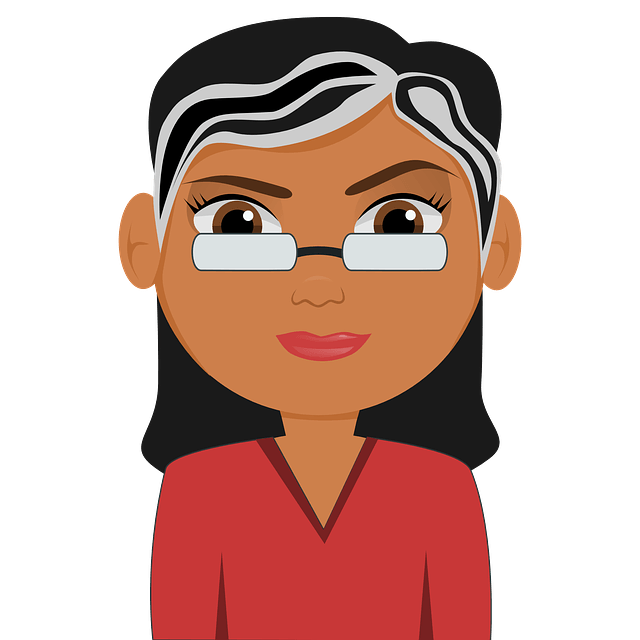 I go to articles for the comments from people who share their story and what works and doesn’t. 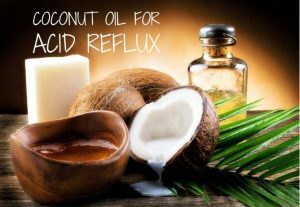 I read some article like in the coconutoils.com/acid-reflux/ that you can treat acid reflux with coconut oil by consuming up to three tablespoons of pure, virgin coconut oil daily.